1. Drive to your nearest Starbucks with $5 in your pocket. 3. Get in line and purchase a $5 gift card. 4. 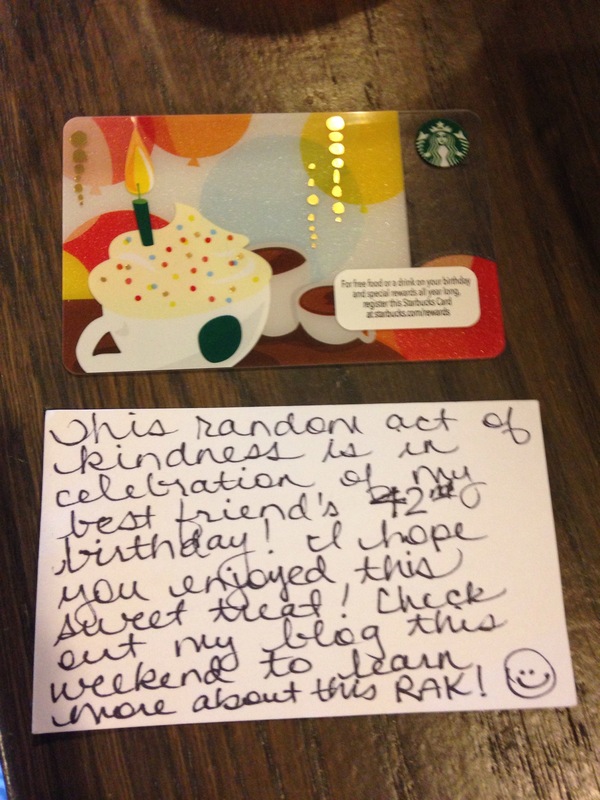 When the barista hands you the gift card, pass it back to him/her and explain that you want to bless a stranger with a random act of kindness. Allow the barista to pick who will receive the gift card. 5. Leave the building and continue your day with a huge smile on your face! I hope you find small moments in your day that make you smile, and may you find creative ways to pay it forward in celebration of life!